TOP 10 TIPS FOR THE PERFECT CAFETIÈRE COFFEE! To use your cafetière, you will need ground filter coffee. And not just any coffee either: make your morning ritual special by treating yourself to a decent batch. Cafédirect coffee is always speciality grade quality. Have your pick of single origin coffees, blends or organics and find your favourite! It’s important that you get the right amount of coffee for your cafetière, because this will affect the strength and caffeine of your brew. As a general rule, use about 7g of ground coffee per cup (which roughly translates to 56g for an 8-cup cafetière). Pro tip: get yourself a 7-gram coffee measure spoon to save yourself some time! Don’t use boiling water as that will burn your coffee, but leave it to cool for about a minute or so after reaching max temperature. Ideally, your water should be between 92-96 degrees for perfect result. You’ll want about 125ml of water per cup, which can be topped up to taste. Pro tip: Remember to fill your kettle with fresh water, as re-boiling water means the oxygen levels will be too low to percolate properly. To really get that perfect brew, then try “pre-infusing” your ground coffee by adding a small amount of water to them at the bottom of your cafetière, giving them a gentle stir before you add the rest of the hot water. Also, make sure you fill the cafetière to its intended capacity and stir it a couple of times to make sure all the grounds are well soaked. Next, just leave it to brew for a strict 4 minutes, then plunge and pour your coffee immediately, so the ground coffee cannot be over-brewed. As we alluded earlier, coffee is roasted to a unique strength. Coffee that is roasted quite strongly or for a longer time is darker and will have a different taste from lighter roasts. Lighter roasts are generally brighter with “zestier” tasting notes, whereas dark coffees are more intense and full-bodied. It explain why our Cafédirect Intense Roast has a strength level of 5! Do you only drink one specific wine? Similar to wine, coffee comes from a fruit and can have so many different qualities and tastes. So why stick to just one coffee? Explore, try a Peruvian coffee and compare it with a Tanzanian. Try a lightly roasted blend and then learn to recognise how the flavours measure up to that dark blend you love. Many coffees come perfectly roasted and ground for you, which – if you store your pack well – is an easy and delicious way to have your coffee. But if you want to go next-level, then we suggest you try experimenting with beans. By grinding them yourself right before you brew, the freshness of the coffee will be a whole new experience. Take care to grind your beans slightly coarser than you would for use with a filter. Whether you prefer beans or ground coffee, always make sure you store your coffee properly in an airtight container, somewhere cool and dry. But don’t refrigerate, as that’s a common misconception! 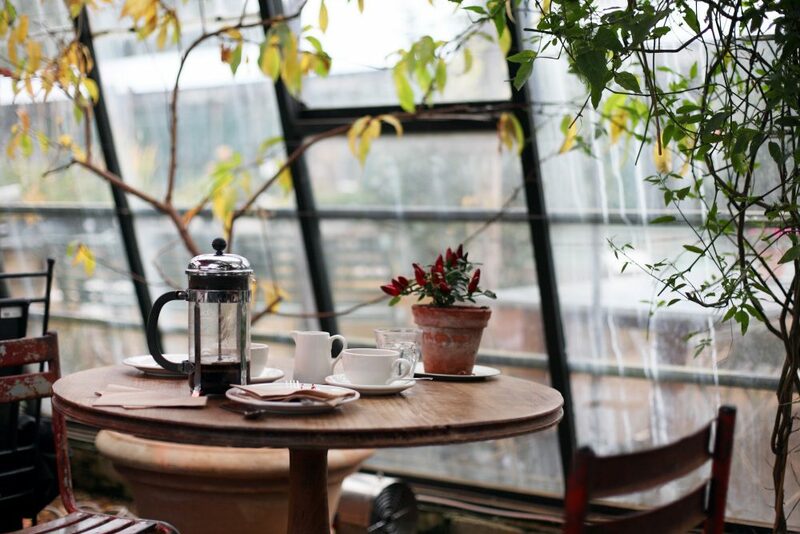 Once you’ve mastered the art of the cafetière, why not try other ways of brewing coffee? Using other methods like a V60 dripper or a Chemex will bring out different characters in each coffee. It can also help you when you don’t need an entire cafetière to drink, allowing you to make just one cup at a time. Now that you’re a coffee connoisseur, why not explore which foods go best with your favourite coffees? These days, you can even experiment with the vast majority of milk and milk alternatives there are on the market, offering you new taste experiences with every cup! Check out our preferred milk alternative range to go with some of our best-selling single origin coffees here. Let us know about your coffee adventures and share your pictures with us on Facebook, Twitter or Instagram: @Cafedirect.